These packs of 10 Teslin® paper sheets are perfect for creating great looking ID cards. These include 1-Up punch outs allowing you to essentially create 10 photo ID cards. 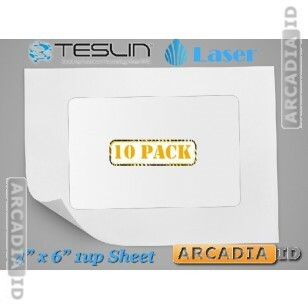 These are suitable for Laser printers. For more high quality ID card materials and more explore the other listings. Rapid delivery on every order.